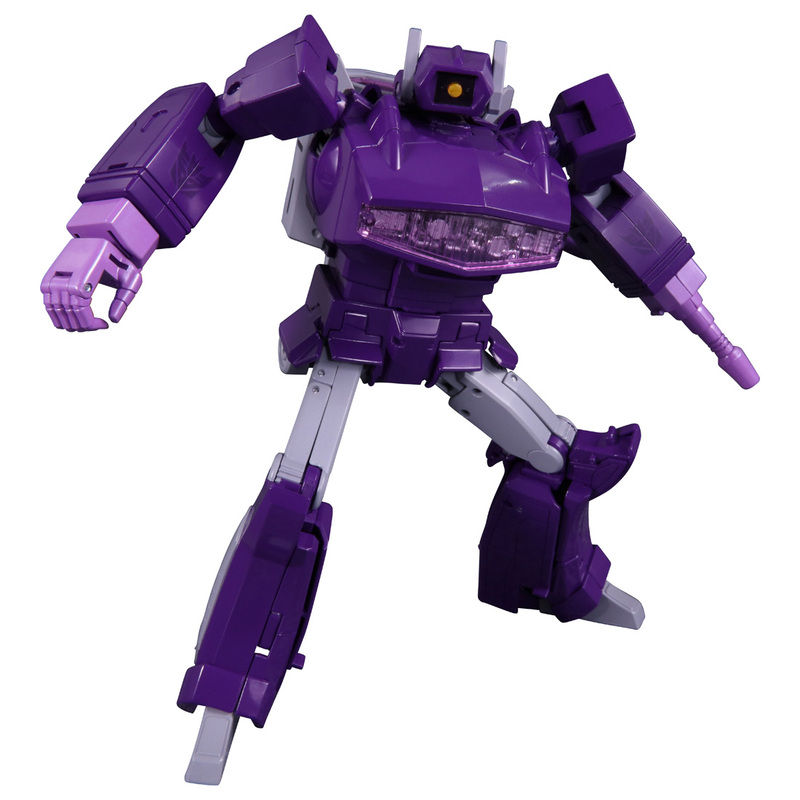 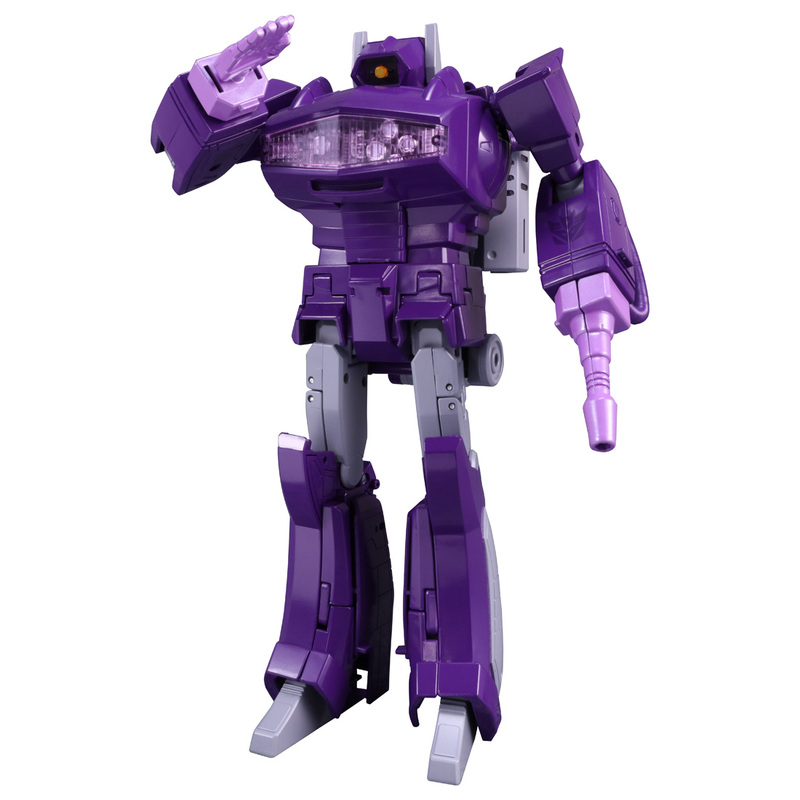 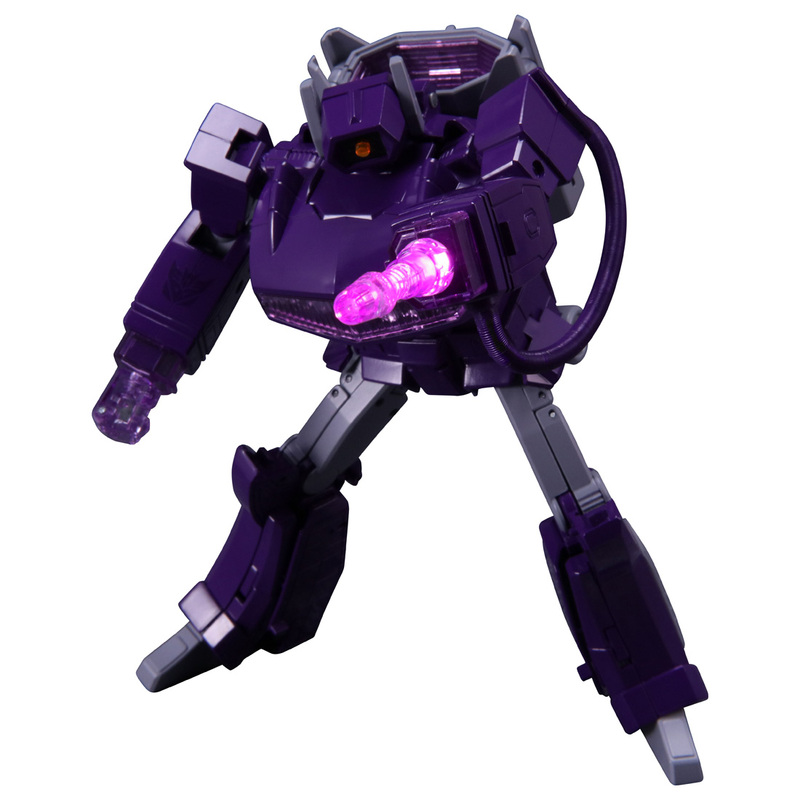 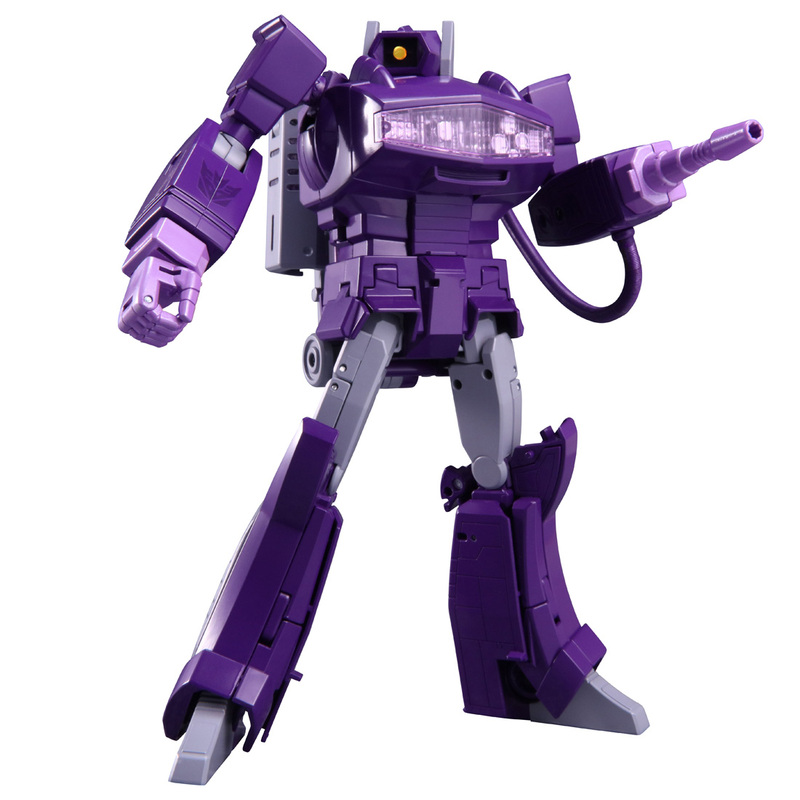 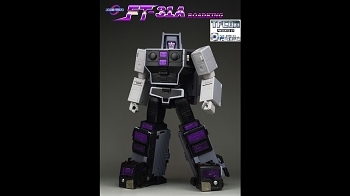 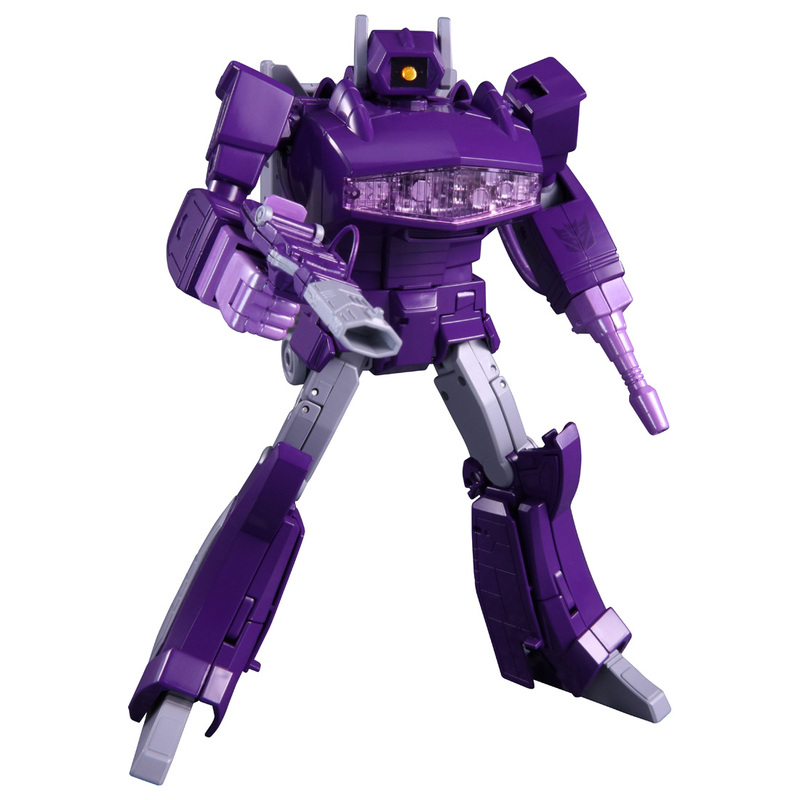 Masterpiece Shockwave in Toy Color dark purple. 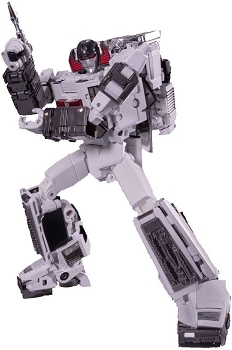 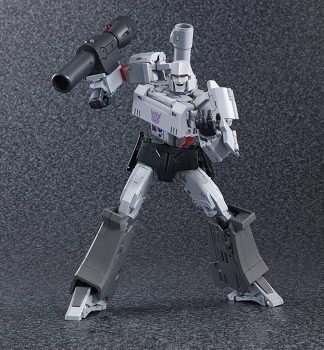 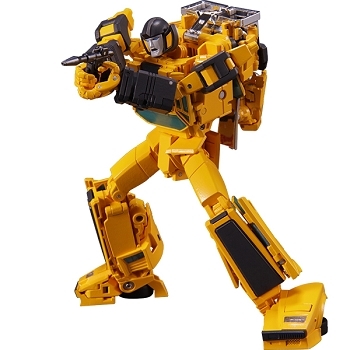 Fully articulated and transforms from Robot to Space gun and back. 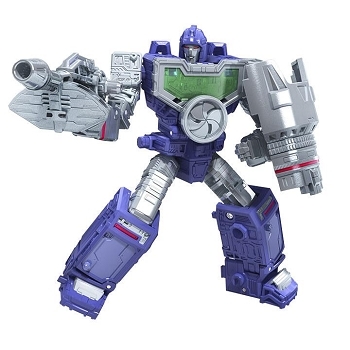 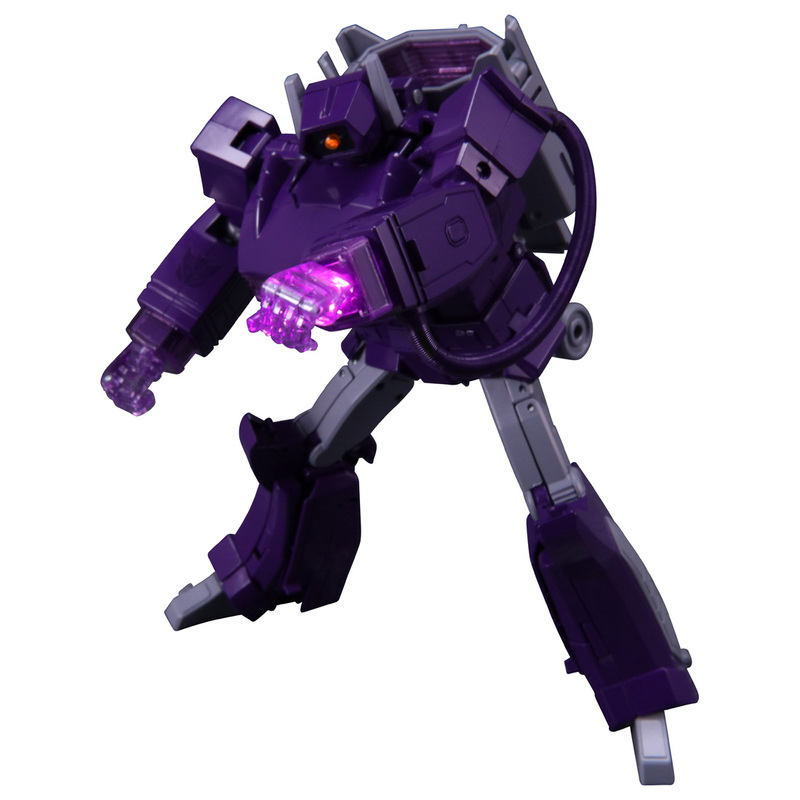 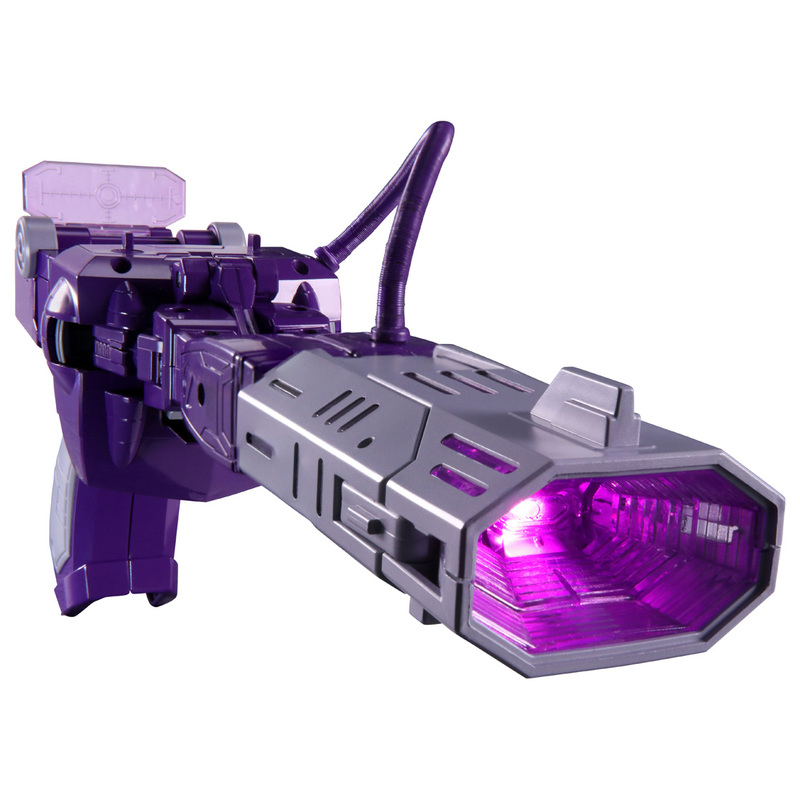 Shockwave will have light-up features, but no sound. 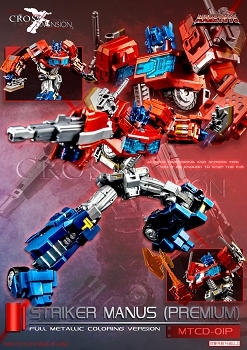 Images are not final version.